In addition, it has been alleged that the Cross Timbers decking has caused damage to other property within the home because water can penetrate and leak into interior building components surrounding the decking. As a result of these problems, more than a dozen lawsuits have been filed against GAF seeking compensation for homeowners who bought the product. GAF’s composite decking products are made from wood fiber and plastic materials and are intended to require less maintenance than standard wood decking. According to the lawsuits, the plastic binder that covers the wood fiber was not properly formulated and applied, causing the composite decking to absorb water and age prematurely. 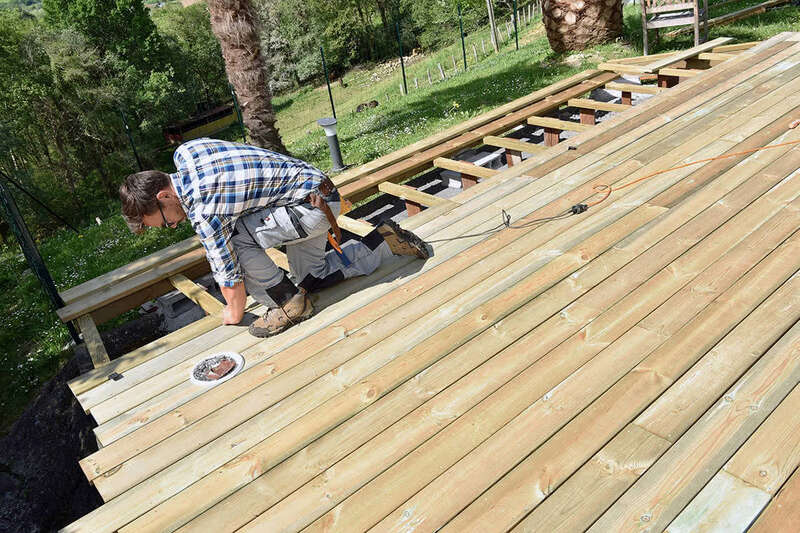 In one lawsuit, a married couple alleges that their decking warped and twisted due to a defect within the product. This warping and twisting allegedly caused a diagonal deck girder to pull away from the house by approximately one inch. The lawsuit also alleges the GAF decking releases an oily residue that stains its surface. Is your GAF Cross Timbers composite decking showing signs of premature aging? If so, you may be able to participate in a class action lawsuit to obtain compensation for the damages you suffered. To learn more, reach out to Morgan & Morgan’s class action lawyers by filling out this free case evaluation form today.